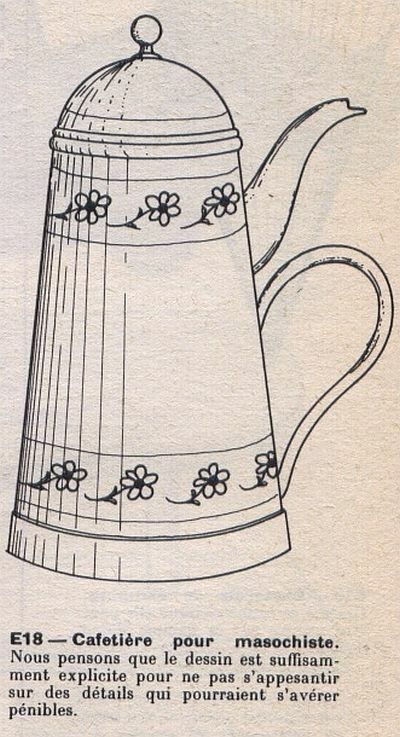 ‘We believe that this design is sufficiently explicit for us not to have to burden it with details that could prove to be a source of distress.’ Thus the caption to the masochist’s coffee pot, the most famous item in Jacques Carelman’s 'Catalogue of unfindable things' (Catalogue d'objets introuvables, 1969). But its design left so much unsaid that this single object became the symbol of an entire critical approach to the design of everyday things. Doubly so, after Donald Norman chose it for the cover of his very popular book on the subject. The book was previously entitled ‘the psychology of everyday things', but it would have been even more appropriately to use the word psychopathology instead. For Norman’s book looked at design through its aberrations, of which the masochist’s pot is a splendidly elliptical example. and have been banalised in most recent time through such inventions as Think Geek’s Useless Box and various kinds of useless buttons. Further back than Munari, a possible inspiration for the catalogue are the contraptions of Rube Goldberg and W. Heath Robinson. 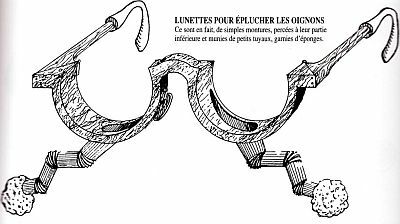 Carelman flirts with apparatuses for doing no work or very little work, for instance with his ‘glasses for when you cut onions’, which transfer tears to a pair of small sponges. Or the bottle for alcoholics who are seeking to cure themselves, which looks like might hold a litre of liquid, but is only good for a glass’ worth. But these objects are almost of actual use. 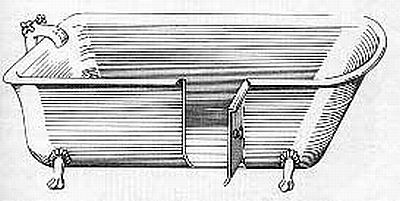 One of them, the bathtub with a door in it, has actually been produced. 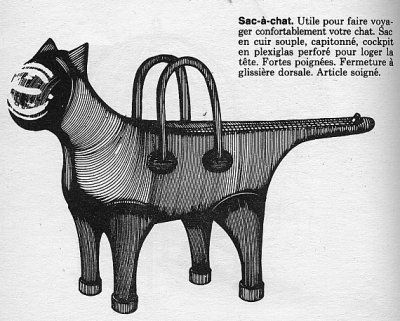 Others are just supremely impractical, like the bag for carrying a cat. 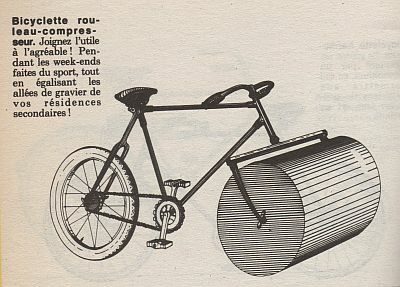 A greater number of Carelman’s designs abandon use value altogether, distorting it through irony and the absurd. 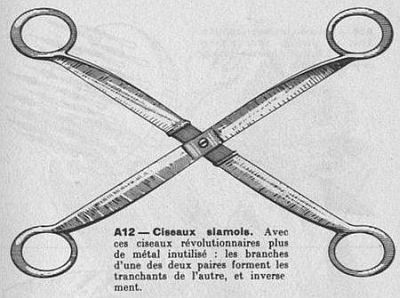 This is the case for instance of the Siamese scissors. Or the ping pong racket with a ping poing ball-shaped hole in the middle. 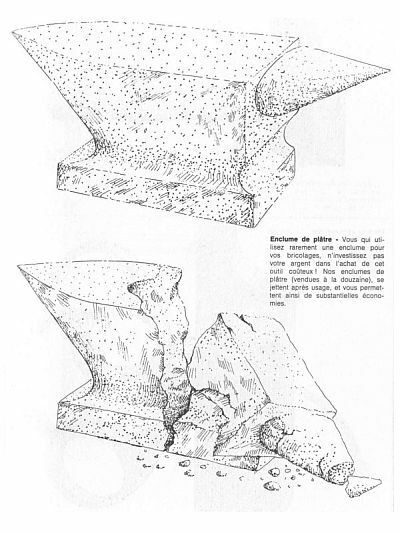 Or the crumbling anvil, ideal for people who don’t do much blacksmithing. 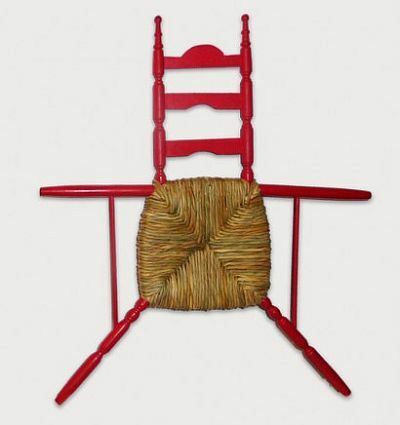 Or the flat chair (I love the flat chair) here in a later reinterpretation. 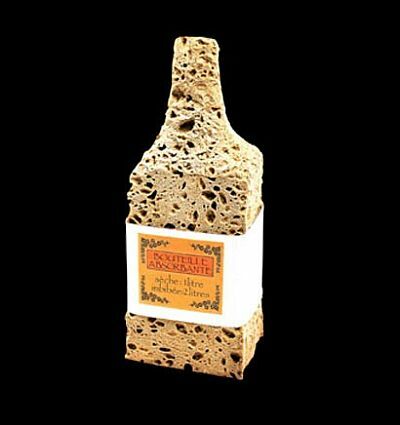 Or the bottle made of sponge, for extra capacity. I’m not entirely sure if this was originally Carelman’s design, or that of a follower. 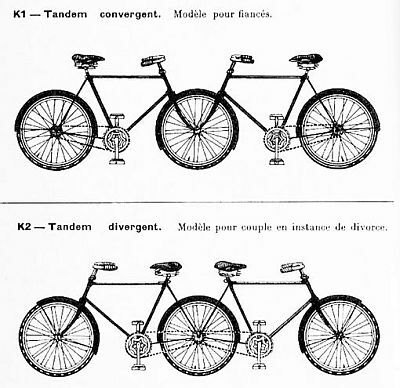 And finally the tandems: one for lovers, one for a couple that has decided to go its separate ways. These are all tremendous ideas, but ultimately benign. The masochist’s coffee pot adds an ominous touch and – which I imagine is the reason it appealed to Don Norman – a sharper reminder that bad design can not only lead to impracticality but actually turn against us. This is the realm of hostile object theory, and of a potential call to explore the ways in which the design not just of objects but of organisations and the body politic lead to intended harmful outcomes. and its send-off as an object of high-fashion on the Erratum website. Which is funny enough, but of a totally different order, I think you’ll agree. However I did rather enjoy another one of Hutchinson’s designs. 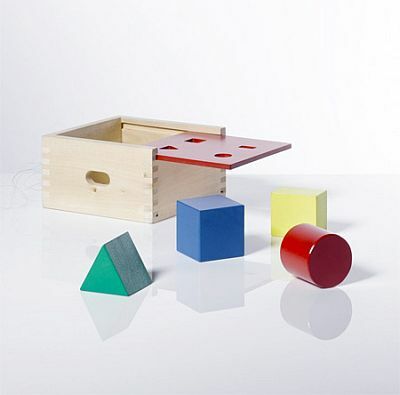 It’s an educational toy for toddlers, and I admire it for its simple cruelty. 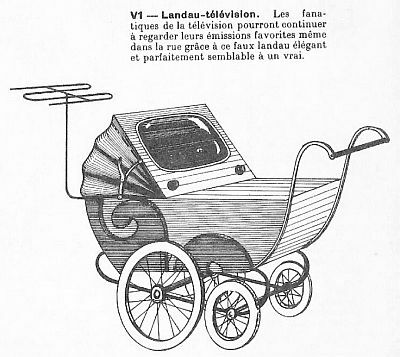 It also reminds me of one last creation of Carelman’s that is highly contemporary and someone should definitely put into mass production if it hasn’t been already: the pram television. I tell you, the man was a genius. Before I leave for a little holiday back home, a reminder that the programme of the Auckland Writers Festival is out and that I’ll be at two of next month’s events: a panel on the work of Elena Ferrante with Guy Somerset, Kate De Goldi and translator Ann Goldstein, and another one with Janet Wilson, Tim Murphy and David Fisher on the demotic turn in journalism. This one is free. Brilliant! 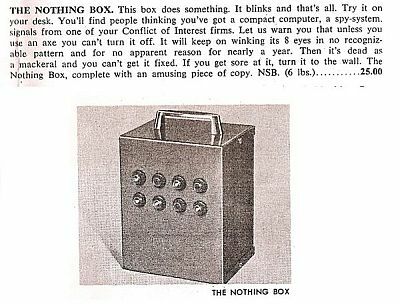 We need more kiwis who think outside the box, if I may use that overworked idiom. I have enjoyed this post three times today ... thank you. That's very nice of you to say, thank you. 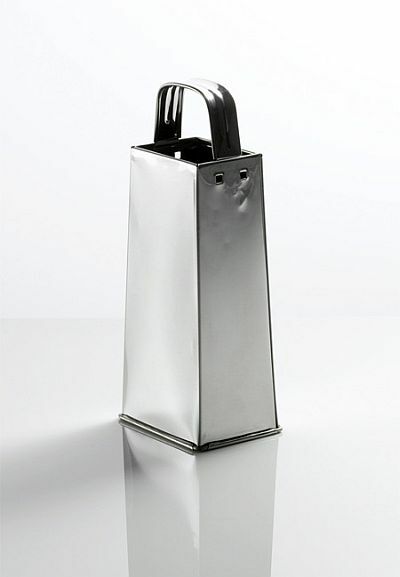 I think that Erratum is trying to send a message there: that high fashion is as useless as that cheese grater. Apologies if it was already obvious to everybody, I'll go back to my cheap beer.